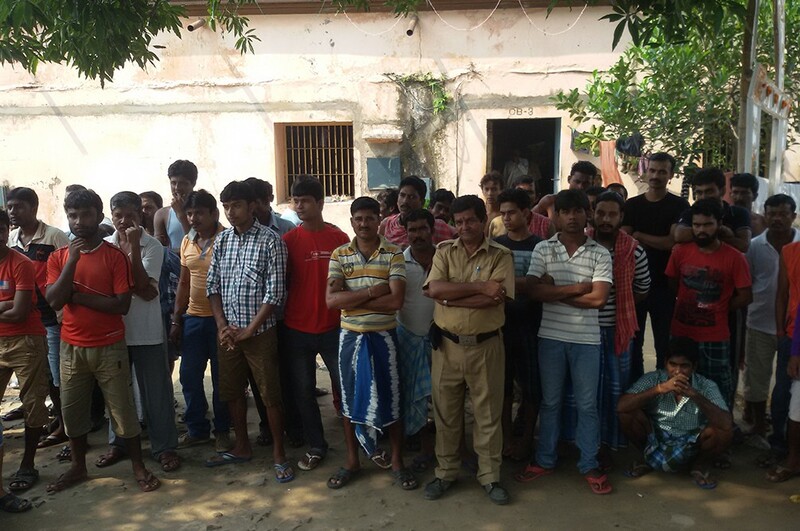 You are here: Home › News › Krishnanagar Jail Preaching a Huge Success! Sorry this is a little long but believe me it’s worth reading it all with a huge ISKCON surprise bonus at the end of the rainbow. 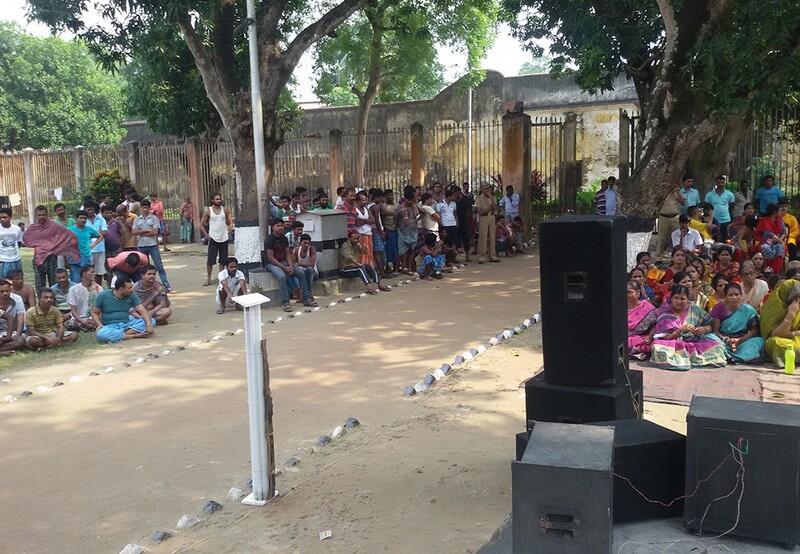 The Krishnanagar Jail Preaching program yesterday, upon the invite of the Superintendent, went surprisingly far better than expected. 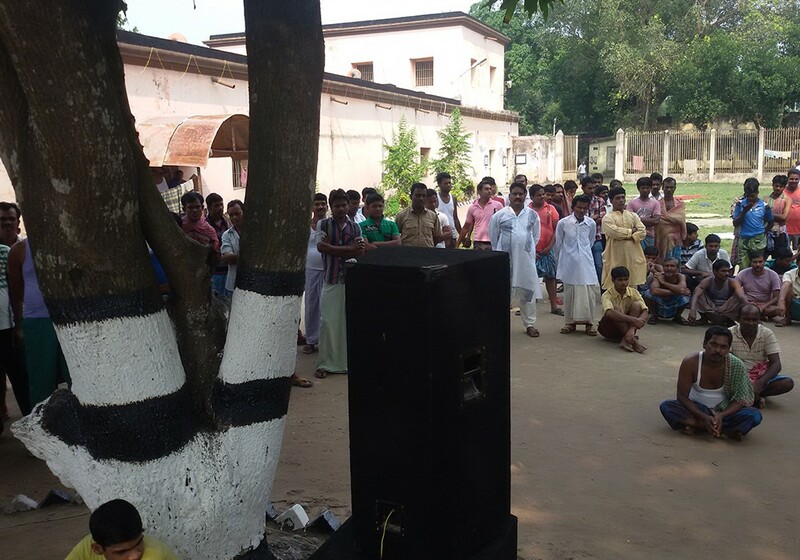 The one hour program commenced with 5 male and 4 female ISKCON devotees chanting on a platform with a powerful Durga Festival sound blasting system under a big shade giving tree in the center of the huge complex that houses at this time approximately 800 prisoners. 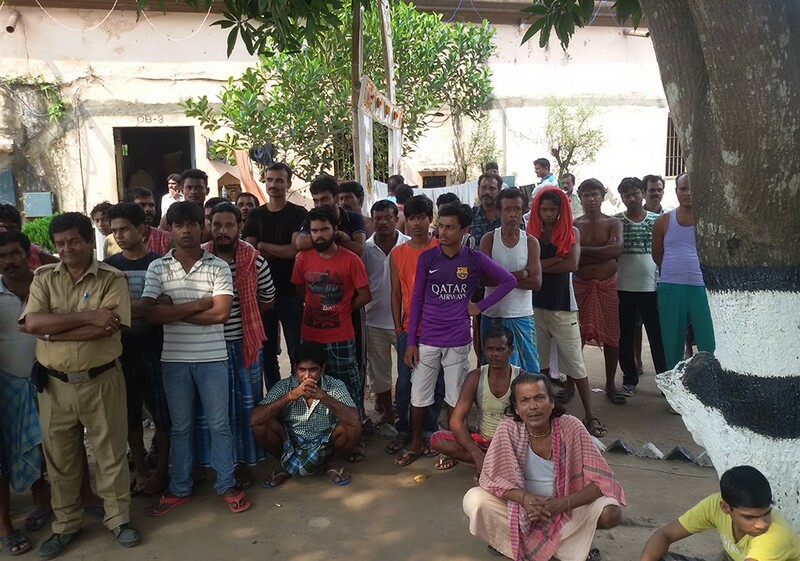 Around 500 prisoners gathered around, including some Muslims, and actually participated in the chanting of the holy names of Krishna and Gauranga and they heard how the eternal soul’s real jail house is this material world of birth and death. 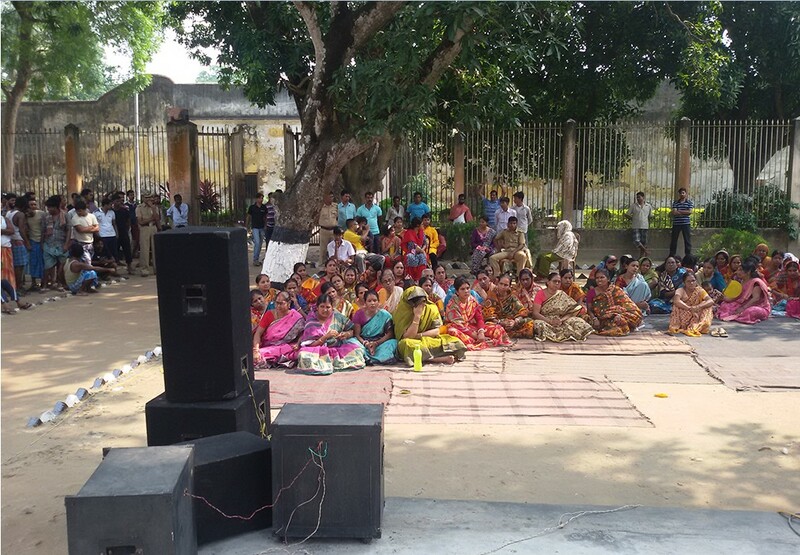 The women prisoners, around 60, also enthusiastically attended by adding their chanting and boisterous high pitched ululations every so often expressing their appreciation when the melodious chanting crescendos peaked. This was the real jail house rock – the entire jail was literally rocking through the ghetto blaster speakers with the holy name enticing prisoners and staff alike to smile and chant the holy names of the Lord. We had a full array of devotional instruments. Sanjoy Prabhu played the mridanga wonderfully. I reportedly sang melodiously and played the harmonium, and gave intermittent philosophical pep talks that were translated into Bengali by Sanjoy Prabhu. And then Nitya Kishori Mataji’s daughter sang sweetly to the conclusion. 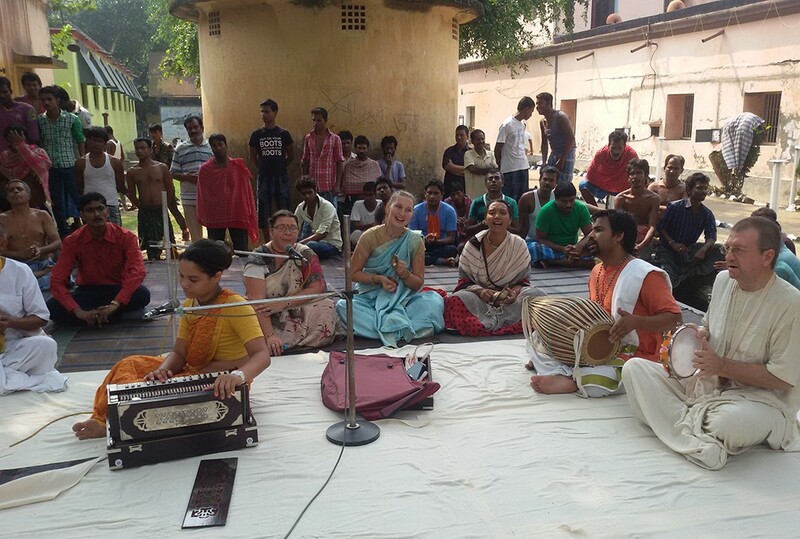 Interspersed with the chanting I initiated a contest chanting Krishna’s names the loudest between the ladies and men. Their participation was amazingly loud and very enthusiastic on both sides but the men with their numbers advantage came out on top. The objective of the jail preaching was to create some faith in the holy names of Krishna in the searching hearts of the prisoners; and that was achieved, at least temporarily and perhaps with just a few for a much longer period. The follow up will be more of the same on a weekly basis as per the invite of the Superintendent and his enthusiastic staff. The Superintendent smiled and very enthusiastically agreed. He said meat makes the prisoners aggressive whereas your pure Krishna prasadam will make our prisoners peaceful. Our jail will then truly be a correction home. 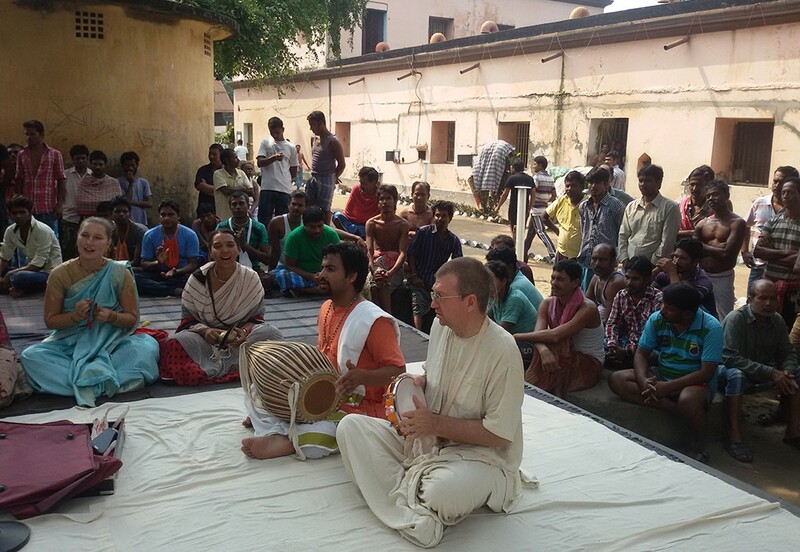 He said he felt we brought the ISKCON Mayapur feeling to the jail and gave them much relief and happiness. 2. The government must pay for all related expenses including a brand new Vastu compliant kitchen building with all new equipment that meets the highest health and safety standards as per the Government recommendation and evaluation system. The Superintendent replied that the government will be very willing because ISKCON Bangalore (temporarily hijacked by Madhu Pandit) is already providing pure vegetarian food for 4,000 inmates in the Central Jail of Bangalore from a 1st class kitchen. The difference will be that ISKCON Mayapur will have only ISKCON initiated devotees cooking whereas Madhu Pandit I suspect has resorted to non-initiated professional cooks. The devotional purity of the cooks determines the purifying power of the prasadam which Srila Prabhupada described as our secret weapon. Another difference is that prisoners who have become devotees will be rewarded periodically with genuine Radha Madhava Maha Prasadam from Mayapur. All prisoners MUST observe every Ekadasi by nicely taking a delicious anukalpa feast with many varieties. Inmates will be encouraged to fast according to their abilities. But grains will be strictly forbidden on Ekadasi and appearance days of the Lord. I will provide the fasting days for each year in advance. The end goal preaching plan is that they will come into the jail as criminals – 30-40% are falsely implicated – and go out as fully trained devotees ready to take initiation. The entire jail can be turned into a devotee making bhakta program. :-)) If you would have seen their eager participation yesterday you would know that what is being proposed can be done. Being stuck in jail gives a person strong impetus to reform which can be nicely directed to Krishna consciousness. All prasadam must be cooked on the premises by ISKCON cooks who have been registered and duly checked. It’s a strict security measure that any cooked food from outside cannot enter the jail. Srila Prabhupada will be immensely pleased if we can execute the above. The next step will be for me to draw up a business plan with a detailed scope of works and formulate a draft agreement between the Krishnanagar Correction Home and ISKCON. I’ll first run it past the Superintendent Mr Shyamal to ensure his demands and conditions are met and then run it past the ISKCON Mayapur management for approval and then finally hand it all over to ISKCON to take full responsibility for the entire preaching project. ISKCON Hyderabad are keen to see what we do with this fully sponsored preaching opportunity so that he might do the same in his area. It could be similarly implemented all over India in jails near ISKCON centers. According to HG Hari Sauri Prabhu Srila Prabhupada himself established a jail preaching program in Delhi. The very pious Superintendent said he has inherited from his grandfather 5.3 acres of prime land in Dwaraka near the ocean and that he wants to donate it for a temple. Having seen my design work for a temple in the Philippines he asked me to do the temple design. I said you must first give that land to ISKCON and he agreed. That land is worth in the region of 3.5 million US $. More on that later. Amazing what Krishna can provide when we preach. Hare Krishna, Ajamila prabhu. Dandavat Pranaams. It was so heart-whelming and inspiring to read ur diary on Jail preaching. Ur sincere efforts to serve Srila Prabhupada and his mission has been examplary !!. 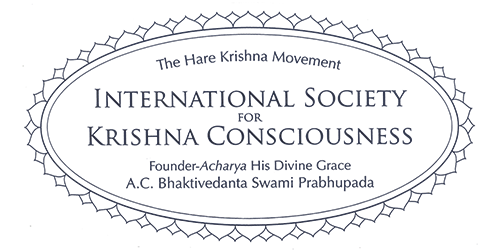 Finally, Krishna has rewarded with an extraordinary bonus in the form of a huge donation for further propagation of holy names. Wishing u n ur team of devotees all the very best to continue preaching .. Keep going places. 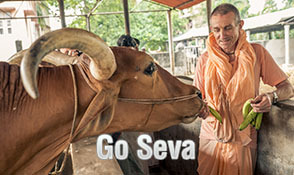 your humble servant, aniruddha seva dasa. hare krishna Prabhuji. Very wonderful Service to Prabhupad. Here in Vellore, an EC of CHENNAI ISKCON, I am doing jail preaching for the past 9 yers singly. And around 10-12 devotees are regularly attending. One devotee is ready for initiation but I do not know the Procedure. After chanting his deathpenalty has been commuted as Life imprisonment and islikely to be released. Your communication has given me inspiration. Hare Krishna!